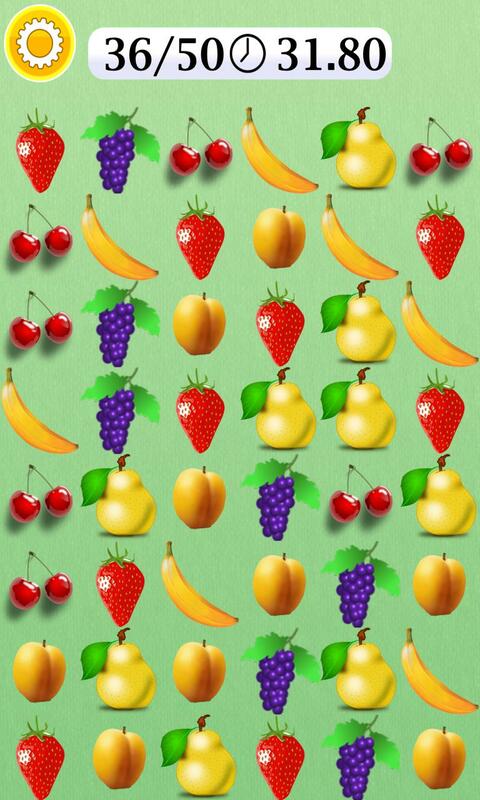 ✓ Drag the fruits to nearby cells to form lines of 3 or more of a kind. 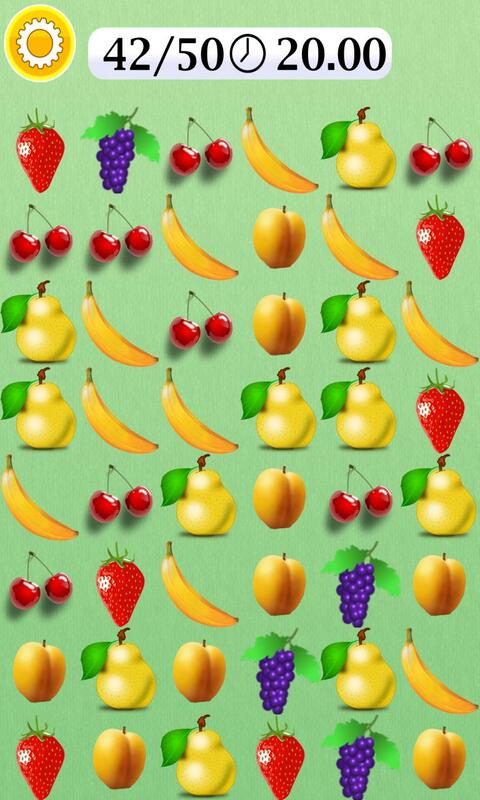 ✓ Release the drag to pop the fruit group. 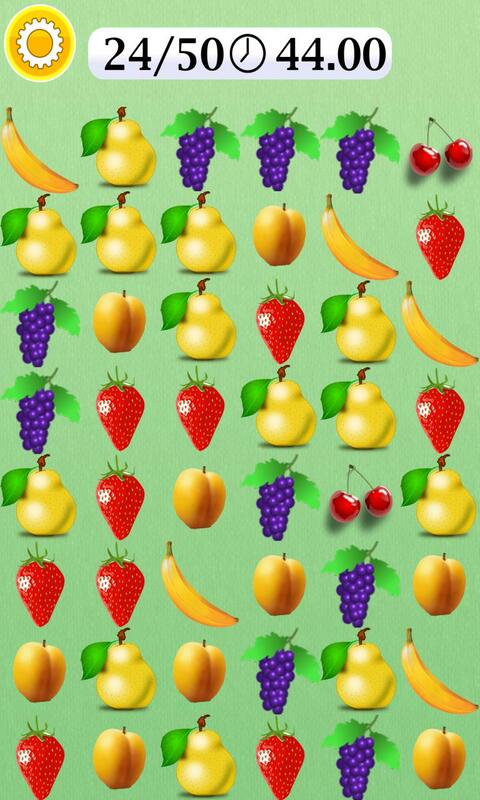 ✓ If complete groups of fruits are detected they are popped automatically in chain-reaction like style. 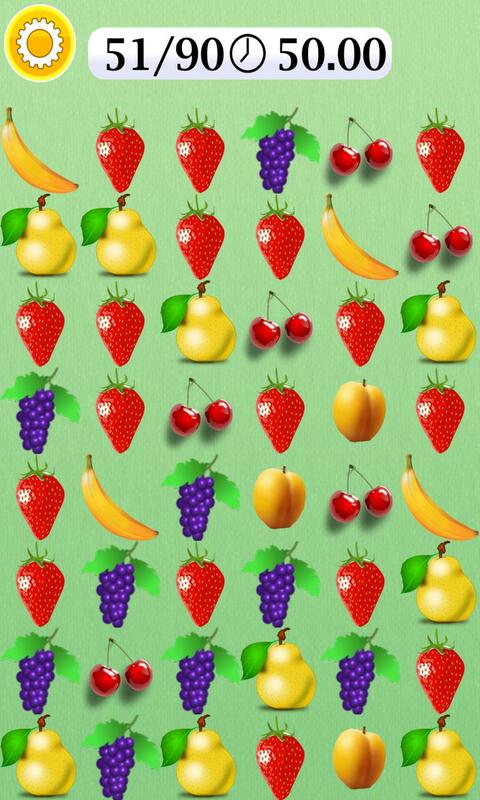 ✓ The first fruit popped starts the time count at the beginning of a game or level. 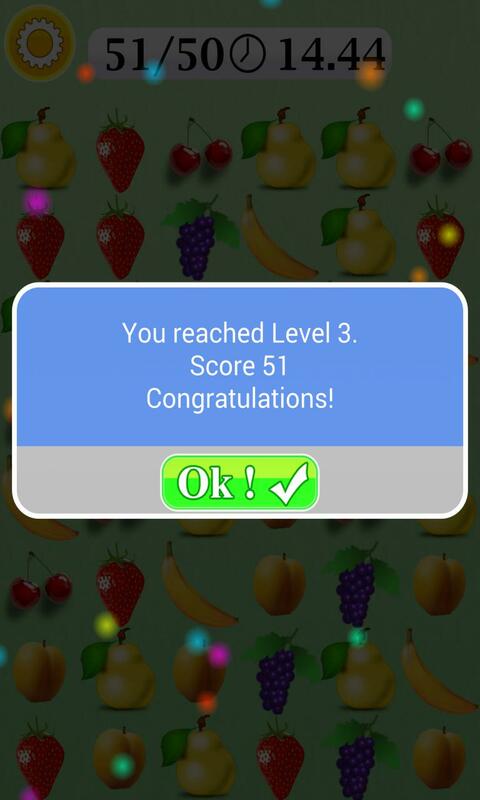 ✓ The first number in the info-bar expresses the number of popped fruits. 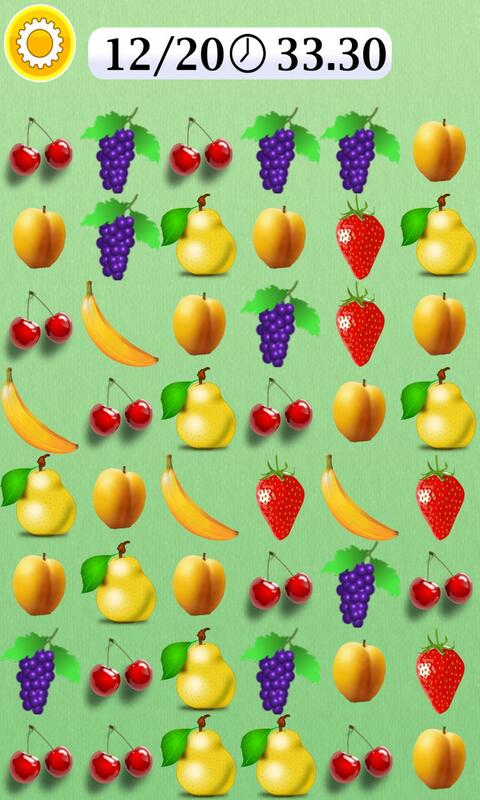 ✓ The second number in the info-bar expresses the number of fruits to be popped in order to pass to the next level.